Longtime fans of the lo-fi 60’s surfer pop rock that launched Best Coast into the popular waves may not be thrilled with the latest LP release, California Nights. It shouldn’t be a surprise though, as 2013’s Fade Away EP had already hinted at the changes to come. The duo of Bethany Consentino and Bobb Bruno have switched it up and gotten fresh with a new label; you can hear the slick production with some serious multi-tracking happening here. The layered vocals on “Fine Without You” really work, giving a rich sound that still manages to be snappy pop. “Feeling OK” shows that taking each day by itself and being just okay, even medicated, well that is breaking even. These are the lyrics of an artist that is maturing and wanting to share with us all. 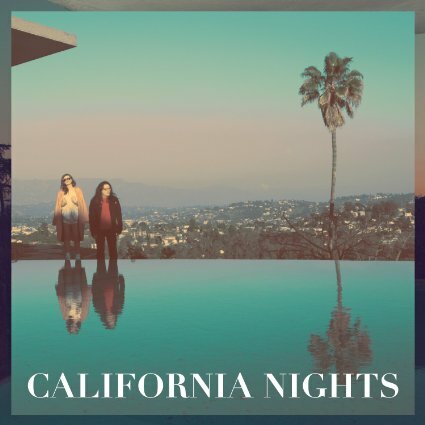 For those who loved the songs of love and lament, fear not as “Heaven Sent” and “California Nights” are for you! Does this mean our beloved indie act has completely blown it? We don’t think so; change is never easy, and no artist wants to be labeled stagnant – or worse, irrelevant. We’re down for the ride that is California Nights and will see what the next day brings.